Newark, New Jersey: Two local buildings have won awards from the Newark and Suburban section of the New Jersey chapter of the American Institute of Architects (AIA). Two of the 2015 Design Awards gold medal winners include Wright & Robinson Architects, which is based in Glen Ridge, and Clawson Architects, which is based in Maplewood. Wright & Robinson won for the porch restoration at Montclair's historic Harry Fenn House, and Clawson won for the Seamen's Church Institute of the International Seafarers' Center at Port Newark. The Newark and Suburban Section serves New Jersey's Essex, Union, Morris, and Warren Counties. Newark, New Jersey: Essex County's only roller skating rink has announced that it will hold several upcoming events. The Branch Brook Park Skating Center will hold the 1st Thursday Adult Night, beginning at 9:00pm on Thursday, October 1st and concluding at 2:00am on Friday, October 2nd. The event is only open to those 18 and older. Admission costs $13.00, and includes admission to the rink and a buffet dinner. Skate rental costs $4. There will be live music at the event from local DJs. The Branch Brook Park Roller Skating Center is located within the park near the corner of 7th and Clifton Avenues. Click here to learn more. Newark, New Jersey: A new Downtown Newark bakery is getting ready for opening day. Edo's Dessert Lounge of Newark will be located in the Academy Building. It will serve pastries, coffee, tea, and other items, and there will be free wi-fi. A ribbon cutting ceremony will be held on Friday, October 2nd at 4:00pm. Mayor Ras J. Baraka and Councilwoman Gayle Chaneyfield Jenkins will help cut the ribbon. There will be live music, and free desserts will be offered the following day. This is the second location of Edo's. There is another location on Springfield Avenue in Maplewood. The Academy Building is located at 17 Academy Street, between Halsey and Broad Streets. Montclair, New Jersey: An area frozen desserts chain will open a third location in Montclair. Gelotti of Montclair will be located at 571 Bloomfield Avenue between Maple Place and Midland Avenue. It will serve ice cream, ices, gelato, waffles, and crepes. Gelotti's original location is in Paterson, Passaic County, and there is an additional location on Bloomfield Avenue in Caldwell. According to The Record, other ice cream shops serve Gelotti products. Talie's Attic and Merit Fine Wines were formerly located in the Montclair space. Update 4/1/2016: The location is now open. South Orange, New Jersey: South Orange may soon be home to another mixed use residential and commercial development. According to a public notice, 320 PC Valley, LLC is proposing to demolish the existing house and construct a building with 2,400 square feet of commercial space on the first floor and 22 apartments at 320 Valley Street, between 5th Street and Roland Avenue. The development would include parking. 320 Valley Street was built in 1890, and was sold for $550,000 in April to 320 PC Valley. 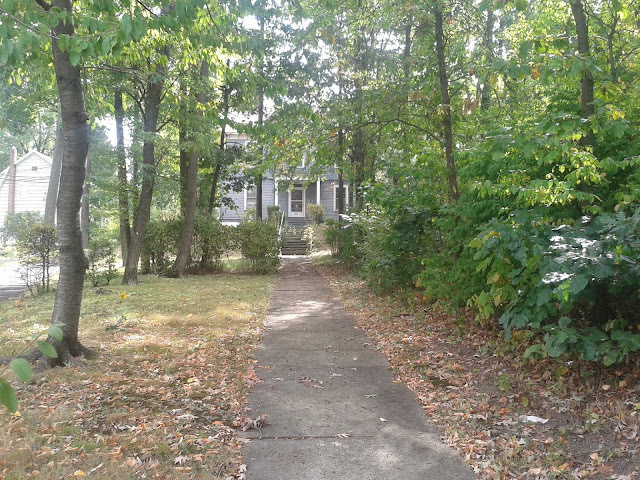 Currently abandoned, the house is set back from the street, and is located next to another house. The neighboring house was listed for sale this month. Valley Street mostly consists of small businesses, restaurants, and auto repair shops. Ora Manor, a Seton Hall University student housing facility, is also located on Valley Street. The area is served by Coach USA's 31 bus to Maplewood and Newark, and the South Orange NJ Transit Station is nearby. The Village of South Orange has seen an increase in development in the last ten years. The Avenue at South Orange on Vose Street opened in 2010, The Gateway at South Orange opened in 2014, and the Third and Valley development will open within the next few months. Another mixed use development has been proposed for the corner of South Orange Avenue and Church Street. A public hearing regarding the development will be held on October 8th at 7:30pm at the South Orange Performing Arts Center. Newark, New Jersey: A Newark fast food pizza store will close in the near future. When the Domino's location at 1003 Bergen Street, between Shepard and Mapes Avenues, closes, only three Domino's locations will be left in the city. However, two locally owned pizza restaurants are located in this section of the South Ward's Weequahic neighborhood. The restaurant is expected to close by December. Click here to learn more. South Orange, New Jersey: After five years, a mixed use residential and commercial building in South Orange will have a commercial tenant on the first floor. Village Family Medicine will be located at The Avenue at South Orange. The facility will be owned by Atlantic Health System, which also owns Overlook Medical Center in Summit, Union County. It will open in December. Atlantic Health tried to open a facility at The Avenue in 2013, though South Orange Village zoning laws prohibited medical offices on the first floor of buildings at the time. The law changed in January, 2014. The Avenue at South Orange's apartments opened in the spring of 2010. Until now, only the rental office for The Avenue at South Orange has been located on the first floor. A small row of stores was originally located at the site, but was torn down in 2006 to make way for The Avenue. The Avenue at South Orange is located at 7 Vose Avenue. Newark, New Jersey: A groundbreaking ceremony will be held in Newark's East Ward today for a new food distrubution facility. Mayor Ras J. Baraka, Councilman Augusto Amador, Deputy Mayor of Economic and Housing Development Baye Adofo-Wilson, and Newark Community Economic Development Corporation President and CEO Otis Rolley will help break ground on the Diamond Direct Foods facility. The new center will be located at 105 Avenue L, between Wilson Avenue and Margaretta Street, in an industrial area between the New Jersey Turnpike and Routes 1 and 9. According to the city, the 140,000 square foot facility will be the largest food commissary on the East Coast, and will supply food, ice, propane, and other services to food trucks. This part of the East Ward has seen an increase in industrial activity in recent years. The Manischewitz Company moved one block away to Avenue K four years ago. Newark, New Jersey: A vice president of the Federal Reserve Bank of New York will speak in the Vailsburg section of Newark's West Ward. James Orr will come to the next General Assembly meeting of the Unified Vailsburg Services Organization's Heart of Vailsburg Block Club. The meeting will be held on Wednesday, October 7th, from 6:00pm to 8:00pm at 42 Richelieu Terrace, between Fortuna and Cliff Streets. The theme of the event in 'Understanding Our Regional Economy: The Housing and Economic Climate in New York and New Jersey', and attendees will learn about the Federal Reserve and differences in career and housing trends between New Jersey and New York. To register, email pdaniels@uvso.org, or call (973) 374-2000 x. 1402. Click here to learn more. Newark, New Jersey: It is now easier to explore Downtown Newark, University Heights, and other city neighborhoods online. Google Maps updated the 'Google Street View' feature of the website this week. The feature allows users to take virtual 360-degree tours of streets, parks, and other areas online. Now, users can explore several Newark attractions. Riverfront Park, Hilton Newark Penn Station, Branch Brook Park, Military Park, Washington Park, Rutgers University at Newark, the New Jersey Institute of Technology, and Weequahic Park are all part of the update. The images were captured using the Google Trekker. This photo shows the historic Northfield Baptist Cemetery in Livingston. This building is located off Bloomfield Avenue in Montclair. Belleville, New Jersey: Little Caesars Pizza will open another location in Essex County. The new franchise of the Detroit-based fast food chain will be located at 388 Main Street in Belleville. It will open in the space formerly occupied by Town Check Cashing, in same plaza that contains businesses like Planet Fitness and Food Basics. The business was approved in August by the Belleville Planning Board, according to Township minutes. This will be the fourth Little Caesars Pizza location in Essex County. Other locations operate in East Orange, Orange, and Irvington. Like the other stores, the Belleville location will operate on a carry-out only basis. Click here to learn more. South Orange, New Jersey: A new club will meet for the first time next week in South Orange. The South Orange Maplewood Community Cycling Club will meet at the Baird Community Center on Wednesday, September 30th, beginning at 7:30pm. Attendees will learn more about riding and tour with others, promoting safe biking to schools and to the train stations, cycling education, tuning up bikes, and advocating for a larger cycling presence. 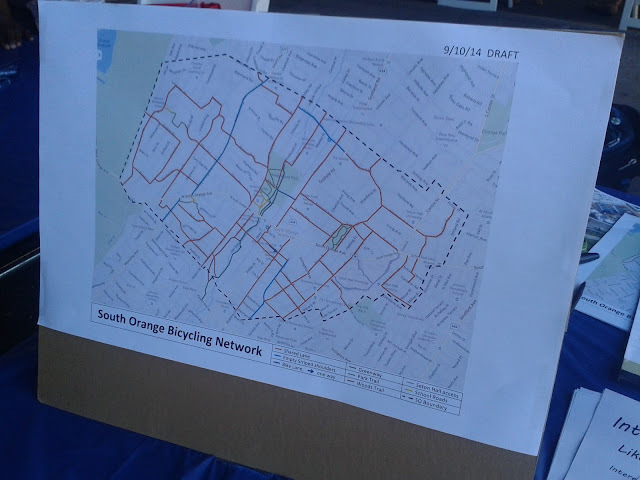 In addition, plans will be discussed for a South Orange Bicycling Network, which could create a series of routes for bicyclists in the village. A key element of this network would be the final phase of the South Orange Greenway, which will connect West Parker Avenue in Maplewood with West Third Street in South Orange. South Orange and Maplewood previously had an organization for bicyclists, known as the South Orange / Maplewood Bicycle Coalition, though it disbanded in 2013. The Baird Community Center is located next to the NJ Transit train tracks at 5 Mead Street. To learn more, call (201) 306-7173. Newark, New Jersey: The New Community Corporation's 32nd Annual Family Fun Festival will be held this Saturday, September 26th. The event, which is free and open to the public, will be held from 12:00pm to 5:00pm at the corner of South Orange Avenue and Hayes Street in the Central Ward. There will be live music and a DJ, pony rides, rock climbing, face painting, clowns, and balloon animals. There will also be a beer garden for those 21 and older, and food, drinks, and merchandise will be available for purchase. Click here to learn more. Newark, New Jersey: A new café will open in the Ironbound section of Newark's East Ward. Vida’s Café will be located at 637 Ferry Street, at the southeast corner of Waydell Street. The business was approved with conditions last week by the Newark Central Planning Board. The 1,558 square foot "small business café" will take up half of the first floor, and will be open from 4:30am to 5:00pm. The building is currently a house. There will be two employees of Vida’s Café, and the owner will be Hortensia Arguelles.